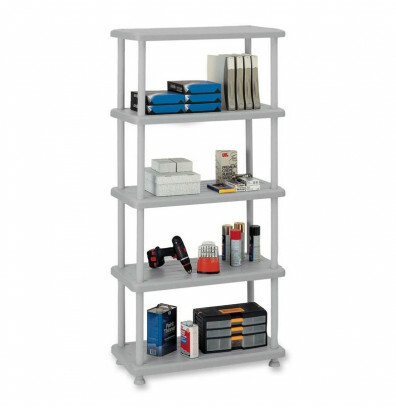 Iceberg 5-Shelf Open Storage system is a heavy duty shelving rack for all applications. 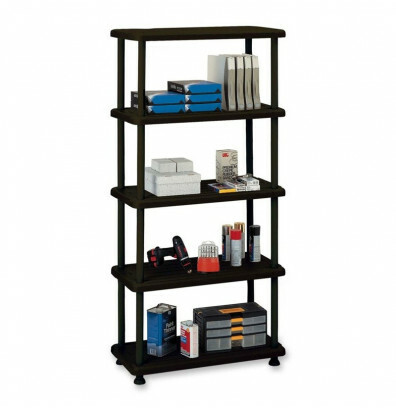 Shelves are constructed of steel reinforced, blow molded, high density polyethylene – won’t scratch or dent. Washable. Heavy duty polypropylene uprights for increased stability. Easy "snap together" assembly. Each shelf holds 180 lbs. evenly distributed. Shelves, uprights, trim caps and wall anchor included.